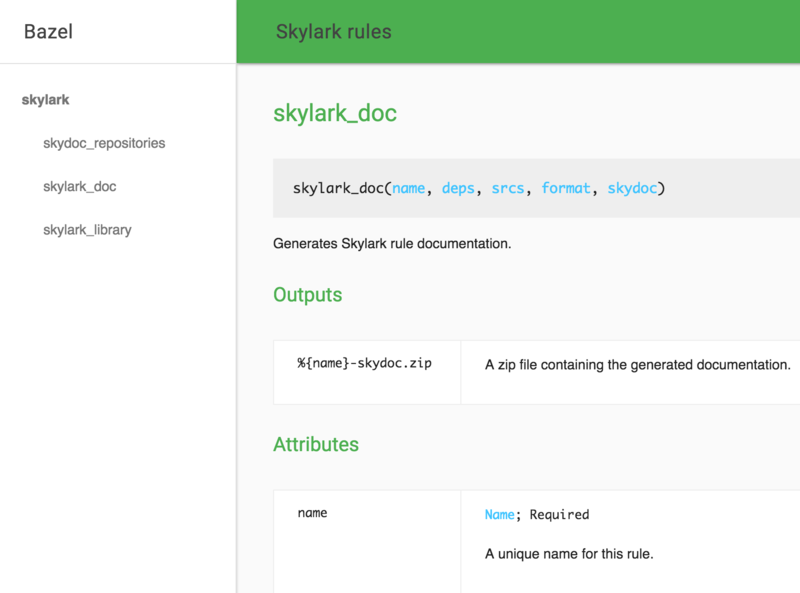 Stardoc is an easy-to-use documentation generator for Bazel build rules written in Starlark. Document your Starlark rules alongside their definition. Here is an example of how to use this rule. Skydoc's own convenient Bazel build rules making it to integrate Skydoc into your build or release pipeline.